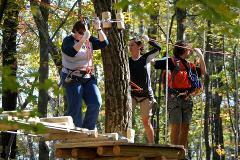 The Adventure Center at Skytop Lodge Treetop Adventure Course. Book online or call 855-345-7759. 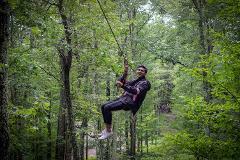 The Adventure Center at Skytop Lodge Treetop Adventure Course Half Tour. Book online or call 855-345-7759. The Adventure Center at Skytop Lodge Paintball. Book online or call 855-345-7759. 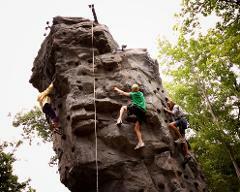 Outdoor Rock Climbing Wall located at the Adventure Center. Book online or Call 855-345-7759.